Welcome to the Landing Lion Family! Here in Help, you'll find documentation for all of Landing Lion's features. Our goal is to make Landing Lion frictionless learning experience. With that being said, we are constantly updating on these documents. So, any and all feedback is welcome. 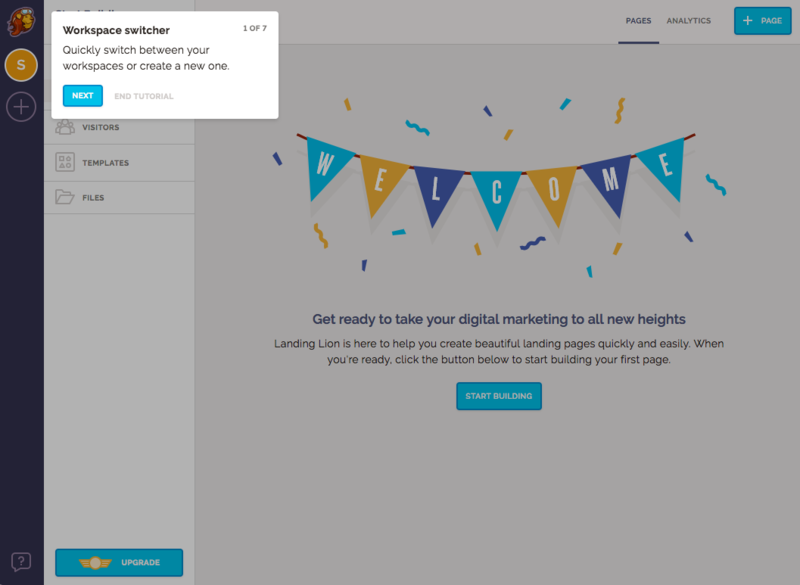 The first step toward optimizing your marketing advertising is to create a Landing Lion account for yourself. Landing Lion user accounts are free to create. After your account is created and verified you should be greeted with a "Welcome" banner and presented with a small tour of our application. The tour is short and we highly recommend it.